Afriyan is a projects and infrastructure specialist with particular expertise in resources and projects including turnkey and construction contracts, production sharing contracts, farm-out as well as service agreements. He represents onshore and offshore clients and assists government institutions and regulators on major infrastructure projects in the sectors of toll roads, electricity, railways, power plants and water, and major companies in mining and oil & gas sectors. He also advises clients on corporate & commercial matters, mergers and acquisitions, due diligence transactions. Afriyan’s litigation experience includes dispute resolution matters, arbitration proceedings and criminal and civil proceedings throughout various court levels in Indonesia. 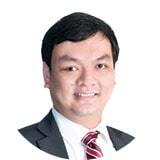 Afriyan Rachmad made Partner in January 2014 after having joined Roosdiono & Partners as an associate in October 2009. Prior to joining Roosdiono & Partners, Afriyan practiced in a major corporate law firm focusing on infrastructure projects. Afriyan is a frequent speaker at various highly-regarded conferences and seminars. His previous speaking engagements include the Construction Business Mission to Jakarta, SBM ITB – Business Contract and Alternative Dispute Settlement and Capitalising on Indonesia’s Diverse Investment Opportunities.